Relocating to or from Virginia, Maryland, or Washington, DC? Our long distance relocation service can help. Suburban Relocation System specializes in suburban relocations — it’s in our name, and it’s our passion. What’s Involved in a Long Distance Move? Whether moving from across the country or from a nearby state, long distance moving is more complex than a crosstown move. The process itself can take a month or more, and it often presents a host of logistical considerations including timing and short-term storage. Suburban Relocation System starts by conducting a thorough needs assessment. Our long distance consultants gather your long distance moving requirements to plan a successful move. We work with you to select the most appropriate long distance moving services and develop a packing and moving plan. Our moving consultants, movers, drivers, and customer service representatives are highly trained and committed to creating a positive long distance moving experience for every one of our customers. One of the keys to a well-executed move is communication. This includes communication within our own team and with you, the customer. 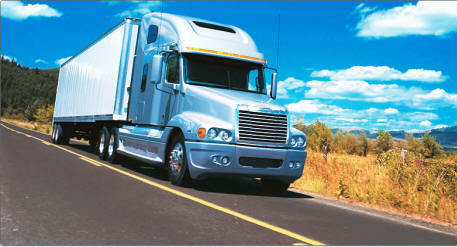 We actively manage your long distance move and keep you informed every step of the way. We are also readily available should you need to change the move date or have questions. Long distance moving brings with it both excitement and stress. Let us take away some of that stress by coordinating your relocation to or from Virginia, Maryland, or Washington, DC. Contact us today for a free quote.